The work and development of "TAIF", its subsidiaries and development companies contribute, directly or indirectly, to the improvement of the economic and social environments and people’s welfare. Stand first among the companies responsible for Tatarstan and Russia progress – it is the mission of JSC "TAIF". The meeting held in the Kazan Kremlin with participation of President of Tatarstan M.Sh.Shaimiev where the decision was made upon the foundation of “TAIF” investment company. PSC "TAIF" was registered with the State Registration Chamber under the RT Ministry of Economy. Design works on Cultural and Entertainment Complex "Pyramid" started. The investment company "TAIF- Invest" was founded. The Ministry of Communications license was obtained by PSC “TAIF”. The license allowed commencing the project of implementation of GSM-900 mobile cellular system in Tatarstan. A new branch – CJSC "TAIF-NK" – was founded in Nizhnekamsk. Construction of the first line of Nizhnekamsk Refinery was started. Foundation of Private Security Company "Kennard". The building company "MT-Service" was founded. Construction of the first line of the Cultural and Entertainment Complex "Pyramid" was completed, i.e. the underground parking lot with gasoline filling station and car wash was commissioned. Two 12-storey apartment houses were put into service under the Program of liquidation of dilapidated habitation. “Strojmarket” store was opened in the Privolzhsky District of Kazan. CJSC “TAIF-Service” was founded to provide various public service. Foundation of subsidiary "TAIF-TELCOM" cellular mobile operator (trade mark "Santel"). LLC "Karsar" had got the status of a customs broker, the first one in Tatarstan. The first call via cellular network "Santel" was made. Foundation of CJSC "TAIF-Art" for operation of "Pyramid" complex. The shares of OJSC "Kazanorgsintez" were introduced to the international stock market by Level 1 American Depositary Receipts (ADR). Foundation of OJSC "TV and Radio Broadcasting Company "TVT". "TAIF-ST" was established to further develop the building business line. The construction of the first line of the cellular network "Santel" was completed. OJSC "Intelligent Networks", the fixed wire operator, was established. Commercial Bank "Avers" joined "TAIF" Group. Foundation of "Avers" Insurance Company. The Dealing center was opened based on LLC "TAIF-Invest". The new branch of LLC “KARSAR” – "Karsar-NK" – was established in Nizhnekamsk. OJSC "IntelSet" had become Internet service provider giving Internet access to legal entities and individuals. Presentation of OJSC "IntelSet", completion of new Automatic Telephone Exchange –77/78 precommissioning. Bank "Avers" had increased its charter capital up to RUR 600 mln. The project – TV and Radio Broadcasting company "TVT" “The Multimedia Network of Kazan” - started. LLC "Karsar" had got the license for brokerage throughout the Volga Region. Foundation of OJSC "TV and Radio Broadcasting Company "New Age" (“Novij Vek”). LLC "Karsar" set up the refueling complex in Orenburgsky Trakt str., the largest in the Volga Region. "Avers" Bank implemented new services including joint projects with "Santel" cellular network (settlements through plastic cards, “mobile bank”, etc.). Three-message advertising signs (prismatron) were put into operation in Kazan in the city-center. "Santel" cellular network connected the 100-thousandth subscriber. PSC "TAIF" acquired ELOU-AVT-7 crude oil distillation unit in ownership. OJSC "IntelSet" started services in Naberezhniye Chelni. Production and Construction Corporation "Kazan" (LLC "PCC "Kazan") was established. The Corporation included all building and construction companies of TAIF GROUP. OJSC "TV and Radio Broadcasting Company "TVT" had won the license of the Ministry for Press, Television and Radio Broadcasting and Mass Communications (MPTR) of the Russian Federation for broadcasting at a frequency of FM 105,3. The shopping center of LLC "Vostok-T", the largest in the south-east of Tatarstan, was opened in Bugulma. Foundation of the new branch of LLC “KARSAR” - "Karsar-A" - in Almetievsk. OJSC "TV and Radio Broadcasting Company "New Age" (“Novij Vek”) and OJSC "TV and Radio Broadcasting Company "TVT" radio stations started their broadcasting. The new digital station of “IntelSet” company started operations in Azino-1 district of Kazan providing a wide range of up-to-date communication services. "Santel" cellular network had got the 200-thousandth subscriber. Presentation of "Pyramid" Cultural and Entertainment Complex. PSC “TAIF” was ranked as “Business Leader” based on the rating research made by The Graduate Institute of Business & Management of Geneva within the international program “Constellation of Business Leaders”. A star in Lion constellation was named after TAIF. OJSC "TAIF-TELCOM" controlling stake was sold to OJSC "MTS", the biggest operator in Central and Eastern Europe. For high operational results reached by TAIF GROUP, General Director of PSC TAIF Albert Shigaboutdinov was honored as the prizewinner of “Financier of the Year” program in nomination “Stock market and investments”. Albert K. Shigaboutdinov, General Director of PSC "TAIF", was elected as the Chairman of the Supervisory Board of OJSC "Kazanorgsintez". TAIF Company and its General Director, Albert Shigaboutdinov, were awarded the Gold Medal of the Russian-Swiss business club “For Spotless Business Reputation”. An office complex was opened in Akademicheskaya Str., Kazan. The complex is of the highest international standards. The controlling stake of OJSC “Kazanorgsintez” was acquired. The Company entered TAIF GROUP. Anniversary of TV Company "New Age" (“Novij Vek”) broadcasting was celebrated. Two new companies, CJSC "Concrete Structure Plant" and OJSC "NMU-3", were included into the construction sector of PSC "TAIF". LLC "TAIF-Magistral" acquired a berth. A non-metallic construction materials grading unit with a washer was put into operation. "TV and Radio Broadcasting Company "TVT" opened its branch office in the city of Naberezhniye Chelni. Radik Shaimiev, the race-car driver of “TAIF” Sport Club, became the winner of European Autocross Championship 2003. A capsule with a message for future generations was laid at a ceremony in Nizhnekamsk as an official start of construction of an auto-petrol plant by PSC "TAIF". "TAIF-TELCOM" became the winner of the first stage of "Business Leader of the Volga Region" contest held by the Privolzhsky Federal District. On the first solemn prize-giving ceremony of the Russian National Award "Russian Creators" ("Rossijskie Sozidateli") held in the State Central Concert Hall "Russia" (Moscow) a Diploma and a memorable statuette were awarded to General Director of PSC "TAIF", Albert K. Shigaboutdinov, in the nomination "Construction Investments". The first five-star hotel in the Republic of Tatarstan, "Mirage", was opened. Ordering party was LTD "Nira-Export". The project was financed through TAIF Group of Companies loans as well as the credit line of a western bank opened against TAIF collateral. OJSC "Kazanorgsintez" and the American company "Univation Technologies" signed a contract on providing OJSC "Kazanorgsintez" with the license for engineering, construction, manufacture and sale worldwide of linear and bimodal polyethylene with the total capacity of 440 tons per year. The employees of the third "Nizhnekamsk Construction Department" celebrated their 30th Anniversary. In 2003, OJSC "NMU-3" ("Nizhnekamsk Construction Department") joined LLC "Production and Construction Corporation "Kazan" of TAIF GROUP. A presentation of the book "Tatar Cuisine" dedicated to the 1000th Anniversary of Kazan was held. It was the joint project of PSC “TAIF” and LLC "Foto Art". OJSC "IntelSet" obtained the status of Authorized LCS Installer of Legrand and now OJSC "IntelSet" can represent the LCS Warranty for Legrand structured cabling system equipment for 20 years period. Sberbank of Russia, PSC "TAIF" and OJSC "Kazanorgsintez" signed a General Agreement for Cooperation stipulating opening the credit line of up to USD 840 million for OJSC "Kazanorgsintez" strategic development. The groundbreaking ceremony of the shopping and entertainment complex "Detsky Mir" took place in Kazan city-center. To implement the project, PSC "TAIF" and Joint-Stock Financial Corporation "Sistema" (Moscow) established OJSC “Shopping and Entertainment Complex “Kazan” at par in 2003. OJSC "Kazanorgsintez" announced the beginning of actual building and construction works on production facilities of four projects at once of the complex strategic development program. Radik M. Shaimiev, Chief Advisor of the General Director of PSC "TAIF", was awarded the Silver Medal of the Russian Academy of Arts for the idea, design, engineering, and construction of the Cultural and Entertainment Complex "Pyramid" in Kazan. OJSC "TV and Radio Broadcasting Company "New age" (“Novij Vek”) opened a new studio in the Culture and Entertainment Complex "Pyramid". Kekin House was opened after its restoration in Kazan. It is an object of cultural heritage of the federal level. In 2000, the building was acquired by TAIF GROUP which decided to make its reconstruction retaining historical image of the building. General Director of PSC "TAIF", Albert K. Shigaboutdinov, was awarded a Diploma and the Medal of Peter the Great "For Labor Value" of the Russian Public Commission. TAIF GROUP had become the holder of the blocking stake of OJSC “Nizhnekamskneftekhim”. General Director of OJSC "Kazanorgsintez" , Leonid S. Alekhin, was awarded in the nomination "The best director of chemicals and petrochemicals company". Dzhamil D. Salyakhov, General Director of LLC "Kazan silicate walling material plant", was awarded in the nomination "The best director of building materials industry". The General Director of OJSC "TAIF-TELCOM", Zarif G, Zakirov was awarded in the nomination "The best director of a communication company". President of the Republic of Tatarstan, Mintimer Shaimiev, presented in Kazan Kremlin honorable state awards and titles of the Russian Federation and the Republic of Tatarstan. General Director of OJSC “Kazanorgsintez”, Leonid Alekhin, was awarded the title of “Honored Chemist of the Republic of Tatarstan”. Kazan water polo club “Sintez” received the bronze medal of the Russian Water Polo Championship in the second game of the “small final” with “Dinamo-Olympijskij” club from Moscow. On the Annual General Shareholders Meeting of PSC “TAIF”, Prime Minister of the Republic of Tatarstan, Rustam Minnihanov, announced that TAIF Group of Companies is among the five budget-forming companies of the Republic. The presentation of two new books of the famous photographer, Honored Worker of Culture of the Russian Federation, Laureate of State Prize in literature and art, Mikhail Medvedev, took place. The books “A bird’s-eye view of Tatarstan” and “Portfolio - Kazan” are issued under the joint project of PSC “TAIF” and LLC “FOTO-ART” and are a part of the Kazan Anniversary gift line. In the Cultural and Entertainment Complex “Pyramid”, PSC “TAIF” and “21 Century” Advertising Agency had carried out the public presentation of the book “Saga of Kazan”, written by famous writer and poet, journalist and historian, Ravil Bukharaev. It is the most complete study of the Kazan history among all issued books dedicated to the anniversary. PSC “TAIF” acquired from OJSC “Tatneft” and OJSC “Nizhnekamskneftekhim” their part of Nizhnekamsk oil refinery production complex. Acquisition from Tatneft Group of Companies of the production facility units supplementary to the refinery plant for the total amount of RUR 340 mln. Broadcasting of the popular radio station “Love radio” on a frequency of 107,8 FM in Kazan had become the new project implemented by TV and Radio Broadcasting Company “New Age” (“Novij Vek”). PSC «TAIF», for the first time in Russia, started the purchase of crude oil for further processing on free market prices in the amount of 650 thousand tons on a monthly basis. Kazan water polo team “Sintez” won the Russia Cup. TAIF GROUP had become the holder of the blocking stake of OJSC “Tatnefteprodukt”. The first commercial output of linear polyethylene was produced at OJSC “Kazanorgsintez”. The auto-petrol plant “TAIF-NK” was put into operation. The first produced lot of motor gasoline met all project requirements. Albert Shigaboutdinov, General Director of PSC “TAIF”, and Viktor Vekselberg, Executive Director for gas industry development of OJSC “TNK-BP Management” had signed a memorandum of understanding considering the possibility of signing a long-term contract for ethane supply. “TAIF” Group of Companies had announced the sale of its subsidiary - interbranch insurance company “AVERS”. OJSC "Kazanorgsintez" was awarded the bronze medal for its new low-density polyethylene production development in World Exhibition of Innovation, Research and New Technologies “Brussels - Eureka”. Ministry of Land and Property Relations of the Republic of Tatarstan with its 100% block of OJSC “Radioteleset” shares decided to reorganize the company by its affiliation with OJSC “TV and Radio Broadcasting Company “TVT”. CJSC “TAIF-NK” announced the output of the first commercial lot of motor gasoline. The Company started shipment of motor gasoline of grades AI-80 (80 octane), AI-92 (92 octane), and AI-95 (95 octane) to OJSC “Tatnefteproduct” operating as an exclusive trader of PSC “TAIF” for sales of Nizhnekamsk Refinery products. New Board of Directors was elected on the Annual Shareholders Meeting of OJSC “Nizhnekamskneftekhim” with nine out of seventeen seats in the Board given to the representatives of “TAIF” Group of Companies. Albert Shigaboutdinov, General Director of PSC “TAIF”, was elected as the Chairman of the Board. The Annual General Shareholders Meeting of PSC “TAIF” was held with participation of Prime Minister of Tatarstan Rustam Minnikhanov. The Prime Minister outlined the future development of TAIF Group of Companies. 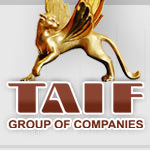 In this way, TAIF GROUP is to reach output volumes up to USD 10 bln by 2010 against USD 3 bln in 2005. As a result of the large-scale projects implemented in the petrochemical sector, TAIF GROUP is to become the only Russian producer of the range of petrochemical products. The new Board of Directors was elected on the Annual General Shareholders Meeting of OJSC “Tattelecom” with three members being representatives of TAIF GROUP. Albert Shigaboutdinov, General Director of PSC “TAIF”, was elected as the Chairman of the Board. An Ordinary General Shareholders Meeting of OJSC “Kazanorgsintez” Board of Directors was held chaired by General Director of PSC “TAIF” Albert Shigaboutdinov. The new Board structure was approved at the Meeting. Now the Board included four committees, i.e. for strategic planning, audit, staff policy and remuneration, and corporate conflicts. General Director of PSC “TAIF” Albert Shigaboutdinov was the winner of the Tatarstan Public Contest “Executive of the Year 2005” in the nomination “For Investment Activity”. LLC «TAIF-Finance» placed in full its primary bond issue worth RUR 4 bln. The issue was placed on MICEX on September 14. The first coupon rate of LLC «TAIF-Finance» was 8.42% per annum. The issue amounted to 4 mln bonds of RUR 1 thousand par value. After the first issue results have been studied, the Company will consider over the second issue for RUR 5 bln for the 5-year maturity period. The opening events devoted to the construction and start-up of the auto-petrol plant, the gas condensate separation plant at OJSC “TAIF-NK”, and the opening of the polypropylene production facility at OJSC “Nizhnekamskneftekhin” by TAIF Group of Companies took place in Nizhnekamsk yesterday with the participation of President of the Republic of Tatarstan Mintimer Shaimiev. In October, “Forbes” magazine published the rating list of the top 200 largest private companies with the fourth position taken by TAIF GROUP after such companies as RUSAL, GAZ Group, and Ural Mining and Metallurgical Company. For activities in environmental control and management OJSC “Nizhnekamskneftekhim” was awarded the title of “The Leader in Environmental Control of Russia 2006”, and the Company’s General Director V. Busygin was awarded the Order “Ecological Shield of Russia”. The group of OJSC “Nizhnekamskneftekhim” specialists were awarded the title of "The Laureate of State Prize of the Republic of Tatarstan in Science and Engineering” for 2006 for achievements and contribution into development of human, natural, and engineering sciences, development and introduction of revolutionary technologies, outstanding production results reached based on implementation of scientific and engineering achievements. The consolidation of main telecommunication assets of PSC TAIF was carried out. Since December 1, 2006, OJSC “IntelSet” was liquidated by the reorganization in terms of integration into OJSC “TV and Radio Broadcasting Сompany "TVT". The ceremony of start-up of the second rubber finishing line “Welding” at Butyl Rubber Plant of OJSC “Nizhnekamskneftekhim” was held within the framework of a program on expanding the total capacity for butyl and halobutyl rubbers up to 120 thousand tons per year. “Welding” is a multipurpose line designed to produce and dry butyl and halobutyl rubbers. With “Welding 2” put in operation, the halobutyl production volumes are promisingly expected to double at the Company. OJSC “Nizhnekamskneftekhim” ranked first per the results of VI All-Russian contest “Russian Organization of High Social Efficiency 2006” in the nomination “Professional Skill, Training and Retraining System”. The construction and start-up of oxidized road bitumen production at the Refinery Plant of OJSC “TAIF-NK” was carried out. The Ordinary General Shareholders Meeting of OJSC “Nizhnekamskneftekhim” Board of Directors was held. The Meeting approved the Strategic Development Program of the Company for 2008-2012. Super Grand Prix for contribution to the development of petrochemical industry of Russia, Grand Prix for the quality of synthetic rubbers produced by the Company, and 6 medals given for the best results in quality of the presented samples of production – such results were shown by OJSC “Nizhnekamskneftekhim” on the Tenth International Specialized Exhibition “Tires. Rubber-Technical Goods. Rubbers 2007” that took place in the Expocenter in Moscow in the middle of March. Kazan water polo club “Sintez” had two splendid achievements –became the Champion of the Russian Federation, and won the Len Trophy Award. For 30 years already, “Sintez” water-polo club has been owned by the only and indispensable founder, OJSC “Kazanorgsintez”. the Annual General Shareholders Meeting of PSC “TAIF” took place today. The shareholders summarized the results of the Company’s performance for 2006. The Meeting was attended by Prime Minister of the Republic of Tatarstan Rustam Minnikhanov. During the year under report, TAIF GROUP was focused on the large-scale projects of upgrading the chemicals, petrochemicals, oil & gas refinery complex. In 2006, oil, gas, and petrochemical companies of TAIF GROUP generated 38% of sales volume and over 16% of added value of oil and gas sector of the Republic of Tatarstan. The Shareholders Meeting re-elected the Board of PSC “TAIF” leaving the list of the members unchanged. Rustem Sulteev retained the position of the Chairman of the Board. The events dedicates to celebration of 40 years from the day the first production on “Nizhnekamskneftekhim” was received took place in Nizhnekamsk with the participation of the President of the Republic of Tatarstan Mintimer Shaimiev. At the same day, this company of TAIF Group put into commercial operation the other production facilities: the gas-turbine unit, the second line of halo-butyl-rubber finishing («Welding-2»), as well as the Bitumen plant on the refinery facility OJSC «TAIF-NK». A bisphenol-A production plant of OJSC “Kazanorgsintez” for the first time synthesized and launched the commercial production of Bisphenol-A. This is the first plant for production of Bisphenol in the Russian Federation. A municipal water treatment plant was commissioned in Nizhnekamsk. The plant is based on LLC “Water Treatment Plant - Nizhnekamskneftekhim”, founded in 2007. The refinery complex of OJSC “TAIF-NK” was voted the best Refinery – 2007 by the Roundtable for refinery and petrochemicals in Russia and the CIS countries, being carried annually by WRA (The World Refining Association). OJSC “Nizhnekamskneftekhim” won the Grand Prix Award of the VII Russian Contest “Russian Organization of high social efficiency - 2007”. “Nizhnekamskneftekhim” INC was honored with Grand Prix "For generation and commercialization of the novel types of high quality products and contribution to the Russian petrochemical industry advancement" per the results of the contest held within the framework of XI International Specialized Exhibition "Tires & Rubber - 2008". All 6 types of rubber, currently produced at the Company (isoprene, butyl, BIIR, CIIR, LiBR, NdBR), were recognized for their quality with the award of the Exhibition gold medals. OJSC “TAIF-NK” which is a part of TAIF Group of Companies, started the output of its new product – jet kerosene. The design capacity of the jet fuel production facilities of OJSC “TAIF-NK” is 600 thousand tons per year. The results of the OJSC “Nizhnekamskneftekhim” ecological activity and sustainable development were highly appraised by the Expert Council and Jury of the National Ecology Prize “EkoMir” (EcoWorld). The Company was announced the winner in the nomination “”Ecological Science & Technologies” for the successful implementation of the “Environmental Management Program 2004-2008” and “Ecological Program 2007-2015”. OJSC “Nizhnekamskneftekhim” was awarded the money award of the Government of the Russian Federation in the sphere of quality for the significant results achieved by the Company in the improvement of production quality and implementation of effective methods of quality management. The 10 millionth ton of ethylene was produced at OJSC “Nizhnekamskneftekhim”. Today, the Annual General Shareholders Meeting of OJSC “Tatatelecom” was held attended by Prime Minister of the Republic of Tatarstan Rustam Minnikhanov. A new Board of Directors was approved. General Director of PSC “TAIF” Albert Shigaboutdinov was reelected as the Chairman. General Director of PSC “TAIF” Albert Shigaboutdinov was awarded the medal “For Assistance to the Ministry of Internal Affairs (MVD) of Russia”. Rashid Nurgaliev, Minister of Internal Affairs of the Russian Federation, issued the respective order. International Investment Conference held by the government of the Republic of Tatarstan and the Islamic Development Bank started today in Kazan. The conference gathered some 170 financial experts, businessman, and government representatives from 19 world countries. PSC “TAIF” General Director Albert Shigaboutdinov made a report on the realization of the large-scale investment programs and the development of “TAIF” GROUP companies. International Anniversary Scientific and Practical Conference "Advanced Technologies and Prospective Development of JSC "Kazanorgsintez" devoted to 50th anniversary of company foundation and 45th anniversary of the first product output commenced in Cultural and Entertainment Complex “Pyramid”. The representatives of the major Tatarstan companies, such as JSC "Nizhnekamskneftekhim", "TAIF NK", JSC "Tatneftekhiminvestholdng", took part in the conference, as well as, the Russian and foreign companies representing oil and gas chemical industry. OJSC “Nizhnekamskneftekhim” has become the largest polystyrene producer in Russia. The polystyrene production plant was commissioned at Nizhnekamsk yesterday with the output capacity of 50 thousand tons per year. It was the third line of the new plant of the Company. The first two lines, commissioned within the last five years, produce 120 thousand tons of polystyrene per year. The production mix includes ten grades of general purpose polystyrene and high-impact polystyrene being in demand not only in Russia but abroad. The celebration events took place in Nizhnekamsk dedicated to the ING Bank N.V. issue of a syndicated loan facility worth USD 500 million in favor of OJSC “TAIF-NK”, the Company of TAIF GROUP. The celebration was attended by Prime Minister of the Republic of Tatarstan Rustam Minnikhanov. The business meetings were held between the representatives of the foreign banks, the managers of the TAIF GROUP and Tatarstan companies to discuss the ways of further mutually beneficial cooperation. The events devoted to the 50th anniversary of the OJSC “Kazanorgsintez” foundation and the 45th anniversary of its first production output included the commissioning of a new polycarbonates plant, the fist one in Russia and the CIS countries. This event indicated the completion of the first stage of the OJSC “Kazanorgsintez” strategic development program being implemented in cooperation with TAIF Group of Companies. President of the Republic of Tatarstan Mintimer Shaimiev participated in the events. Vladimir Kirillov, Head of the Federal Service for Supervision of Natural Resources Management (Rosprirodnadzor) paid an information visit to OJSC “Nizhnekamksneftekhim”. The Head of the Environmental Authority pointed out his satisfaction with the environment protection measures taken by the Company. An under-construction PE Facility of "Nizhnekamskneftekhim" INC completed a unique operation of erecting the last large-sized installation – a Flare Unit totaling 100 m high. To date, the Facility is practically ready to pre-commission major polymerization and extrusion process units, process lines piping is nearing completion, electrical equipment is being prepared for pre-commissioning. “Rubin” football club from Kazan for the first time in its history became the Champion of the Russian Football Championship. The highest awards of the Russian Championship were received during the year of the 50th, “gold” anniversary of the Club. OJSC “Nizhnekamskneftekhim” Polystyrene plant received the 500 thousandth ton of polystyrene since the production start-up. The first line of this production was put into operation in summer 2003. Jet engine fuel, grade RT, produced by OJSC “TAIF-NK” successfully passed the tests and got a certificate of compliance with all the requirements for a top-class fuel. This certificate allows conducting distribution of jet fuel produced by OJSC “TAIF-NK” among a broad spectrum of Russian customers. OJSC "Nizhnekamskneftekhim" won a First Class “Ecomir” Prize for «Environmental policy». The solemn ceremony of awarding the National Environmental Prize “Ecomir-2009” took place on June 4 in the State Duma of the Federal Assembly of the Russian Federation. Upon completion of the Republican competition “EKOleader” OJSC “Nizhnekamskneftekhim” was awarded a Winner Diploma “For Efficient Environmental Program”. The achievements of the enterprises OJSC “Nizhnekamskneftekhim”, OJSC “Kazanorgsintez” and OJSC “TAIF-NK” that are parts of TAIF Group at the 16th International Expo “Oil. Gas. Petrocehmistry-2009” conducted from 9 to 11 September this year in the “Kazan Fair” Exhibition Center. OJSC «Kazanorgsintez» was awarded a Grand Prix Diploma for production of a high density bimodal polyethylene composition, grade PE2NT11-285D, and other diplomas. OJSC “TAIF-NK” received a diploma for “Products with New and Improved Characteristics” in regards to gasoline Premium Euro-95 of Euro-4 level. Excellent quality of the production of OJSC “Nizhnekamskneftekhim” was acknowledged again by the international expo awards, this time at the 15th Specialized Chemical Industry and Science Exhibition “Chemistry-2009” held in Moscow. All types of synthetic rubber were awarded by diplomas and medals. Nizhnekamsk plastics – polyethylene, polypropylene, polystyrenes (shockproof and general-purpose) – received four First Class Diplomas and some medals. The Government Commission on the Improvement of National Economy’s Stability headed by the Senior Vice-Premier Mr. Igor Shuvalov approved granting state guarantees to four Russian companies to the total amount of almost 26 bln. rubles, including 10 bln. to “Kazanorgsintez” and 7,5 bln. to PSC “TAIF”. Prime-Minister of the Russian Federation Vladimir Putin held a meeting in Nizhnekamsk in regards to the issues of the development of gas and petrochemical industries in Russia. In the result of the meeting, the Head of the Russian Government said that the suppliers and consumers in the petrochemical area had managed to agree on prices, terms and volumes of supply. OJSC “Kazanorgsintez” and OJSC “Gazprom” had come to an agreement in regards to a new structure of ethane supply. Vladimir Putin also visited OJSC “Nizhnekamskneftekhim”. Upon the results of the 11th International Specialized Exhibition “Energy. Resource Saving” and 10th International Symposium “Efficiency of Energy and Resources and Energy Saving” OJSC “Kazanorgsintez” was awarded a Grand Prix for optical polycarbonate for “Products with New or Improved Characteristics in regards to Minimization of Specific Consumption of Fuel and Energy Sources and Materials in the Process of Production” and a Golden Diploma for the liquid carbon dioxide production technique. OJSC TAIF established power company TGK-16 that was created based on acquired from Tatenergo Kazan TEC-3 and Nizhnekamsk TEC-1. TGC-16 was designed to provide heat and electricity companies in the Group TAIF - Kazanorgsintez and Nizhnekamskneftekhim. Kazan water polo club "Synthesis" was the silver medalist Russia in water polo. For over 30 years Kazanorgsintez is undisputed founder of the masters' team, "Synthesis ofwater polo. LLC “PSO-Kazan” ceased to be a part of TAIF Group and became an independent entity. LLC “SPO-Kazan” was established to substitute the abovementioned company in TAIF Group’s construction sector. The main operation areas of LLC “SPO “Kazan”, which embraces 7 companies, are construction of industrial and civil facilities, engineering of buildings and constructions and reconstruction of historical and architectural memorials. The Annual General Meeting of PSC “TAIF” Shareholders was held to summarize the company’s performance in 2010. The President of Tatarstan Republic Mr. Rustam Minnikhanov took part in the meeting. In the reporting year, TAIF Group’s aggregate revenue amounted to RUB 340 billion. EBITDA exceeded RUB 50 billion. In the meeting, a new Board of Directors was elected with Mr. Rustem Sulteev reelected as its chairman. A basic engineering contract for a VEBA COMBI CRACKER process based unit was signed between TAIF-NK PSC and an American engineering company Kellogg Brown and Root (USA). Application of VCC process will enable to reach at least 90-95% of Tatarstan’s oil conversion depth at TAIF-NK PSC’s refinery, total profitability of the refinery will grow 1.7-2 times. Design and construction of the VCC-based unit constitute the final stage of modernization and development of TAIF-NK PSC’s refinery. Albert Shigabutdinov, General Director, TAIF PSC became a laureate of the Eleventh International Prize The Person of the Year in the nomination For Successful Business Strategy. The prize established by RBK media holding is annually awarded to the persons, who reached outstanding professional results for the sake of development and prosperity of Russia. TAIF Group became a winner of the republican contest The Philanthropist of the Year – 2011 in the nomination Guarantor of Good Deeds. TAIF Group took an active part in recovery and restoration of cultural property sites of the Republic of Tatarstan, and revival of an ancient town of Bulgar and a town island of Sviyazhsk, supported children from large and needy families, participated in creation of a foundation for the victims of Bulgariya motor ship wreck, and so on. Euro-5 emission standard diesel fuel production plant was launched, for the first time in Russia, at full capacity (over 2.25 MTA) at TAIF-NK PSC in Nizhnekamsk. A solemn function to mark an official construction start of a heavy oil residues conversion complex (HRCC) based on a unique Veba Combi Cracking (VCC) process took place at TAIF-NK PSC’s refinery in Nizhnekamsk. Time capsules were buried into the foundation of the Complex. By the Decree of the President of Russia Vladimir Putin, the Order of Friendship for labor achievements and many years of diligent work was awarded to Albert Shigabutdinov, General Director, TAIF PSC. By the Order of the Minister of Defense of the Russian Federation Sergey Shoigu, a medal For Strengthening Comradeship in Arms was awarded to Albert Shigabutdinov, Director General, TAIF PSC. A jubilee scientific and practical conference devoted to the 55th anniversary from the establishment and the 50th anniversary from the first product output of Kazanorgsintez OJSC took place. By the Decree of the President of Tatarstan, Rustem Sulteev, Deputy General Director, Production and Commerce – First Deputy General Director, TAIF PSC, was awarded an order of Merit for the Republic of Tatarstan. An official function to mark the launch of the fourth polystyrene production train was held at Nizhnekamskneftekhim OJSC in Nizhnekamsk. The construction of the train began in the first quarter of 2013 and on December 27, 2013 the commissioning work commenced. The function was attended by Rustam Minnikhanov, the President of the Republic of Tatarstan. GE and TGK-16 OJSC, a company of TAIF Group, signed a turnkey ЕРС-contract for the modernization of Kazan CHP-3 Plant on the basis of a gas turbine unit. By the Decree of Vladimir Putin, the President of the Russian Federation, dd. April 04, 2015 No 171 On Awarding State Decorations of the Russian Federation” the title of an Honored Economist of the Russian Federation was awarded to Guzeliya Safina, Deputy General Director, Economy and Finance, TAIF PSC and the title of an Honored Chemist of the Russian Federation was awarded to Vladimir Presnyakov, Deputy General Director, Petrochemicals and Oil Refining, TAIF PSC.